Given the limited water resources in Singapore, every drop counts, and tremendous efforts are dedicated to recovering and recycling industrial wastewater. In any WWTP, the pre-treatment process is critical in ensuring the longevity of costly membranes. Choosing the right technology can help a plant owner to increase process efficiency and reduce OPEX, thus improving the bottom line. Generally, separation equipment such as a basket filter, a drum filter, and an automatic back-flushing filter among others can be used to protect these membranes. The function of the protection filter is to remove as much suspended contaminations as possible to increase recovery and extend the lifespan of the membrane. Automatic back-flushing filters are often selected because they have a lower footprint and are cost-friendly, relatively more reliable and non-disruptive (the filtration process is not interrupted during backwash). Filtration and cleaning of water and wastewater under extreme conditions such as high rubber load at low pressure. 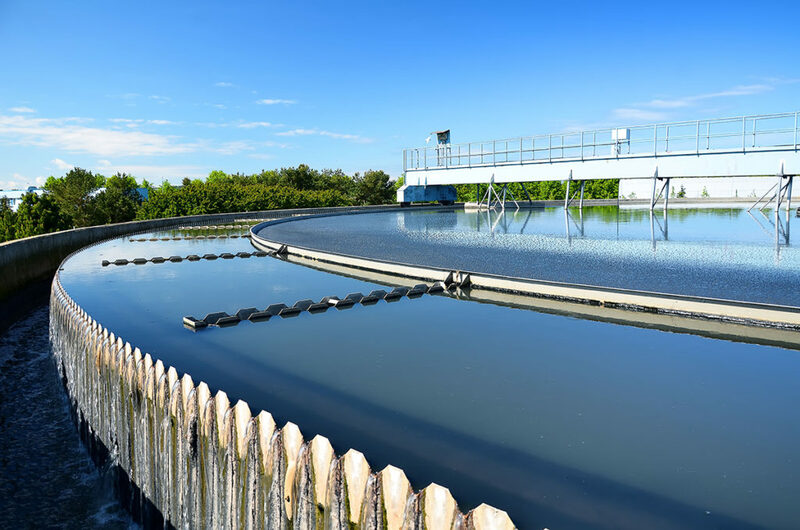 With the complexity and higher level of contamination in industrial wastewater, higher specifications and more reliable technologies have to be put in place to efficiently protect the membrane protection filters. The performance of conventional protection filters is therefore pushed to their limits, making an effective and reliable membrane protection hardly possible. This situation will then lead to frequent shutdowns and maintenance operations and will have a negative effect on the overall performance of the system. One of our customers has to deal with a stream of unusual wastewater which has high rubber content and contains “sticky” and chemically stable particles. These particles could not be easily removed, causing operational and maintenance challenges and bringing the working pressure to a relatively low level (1.2 bar). The client approached HYDAC due to its innovative products developed for filtration and wastewater treatment. Being confronted to what was probably one of the world’s first attempts to treat industrial waste water with such a high rubber content, the client required vendors to conduct pilot tests to prove their solution to be operational and reliable. HYDAC successfully pilot tested the AutoFilt® RF 10, thanks to its JetFlush technology. Indeed, with its two phases (stripping, then suction), the filter was able to work under extreme conditions of high rubber load at low pressure. The stripping phase means that unfiltered fluid from the JetFlush reservoir (above) flows into the filter element. A core flow, supplied mainly by the JetFlush reservoir, is produced and drawn water from the filtrate side into the inside of the filter element. Then starts the suction phase: the moving column of fluid starts to draw water from the filtrate side as soon as the fluid supply stops. The conical filter element geometry ensures the whole surface of the filter element is now clean and residue-free. The contamination is discharged via the back-flush line and after cleaning the filter element, the flushing arms turns to the next filter element to be cleaned. With the efficacy of its JetFlush technology, HYDAC emerged successful in being selected by the client for this job.